The operator I talked to told me my order should arrive in a week's time the latest. However, it came two weeks later. This was a pretty expensive purchase so I wanted to make sure that I wasn't being scammed. It did arrive, and the whole thing was in good condition. I have yet to find out if it lives up to its promises in the long run. After looking at all the different shower sets here in the site, we decided to go for this one. It has a lot of the features that we liked and wanted. But more importantly, the price seemed reasonable enough for our budget. So far it's been working great, and we have no complains about it whatsoever. When we first bought this, the installation was not easy, mainly because our old shower was a wall mount one, so we had to have some renovations done in order to accommodate this, which is fine because we haven't moved into the house yet. However, now that it's fixed, it works really great, and looks awesome at that, too. Will surely recommend this one. I've been browsing over the different shower head here and I decided to go for this one. I had it installed the weekend after it arrived, and have been enjoying using it since then. Perhaps my only issue with this shower set is with the handheld shower, it's quite slippery sometimes. Aside form that though, there is nothing else negative I can say about this shower set. Great product, great value. We got our bathroom renovated just a month ago. 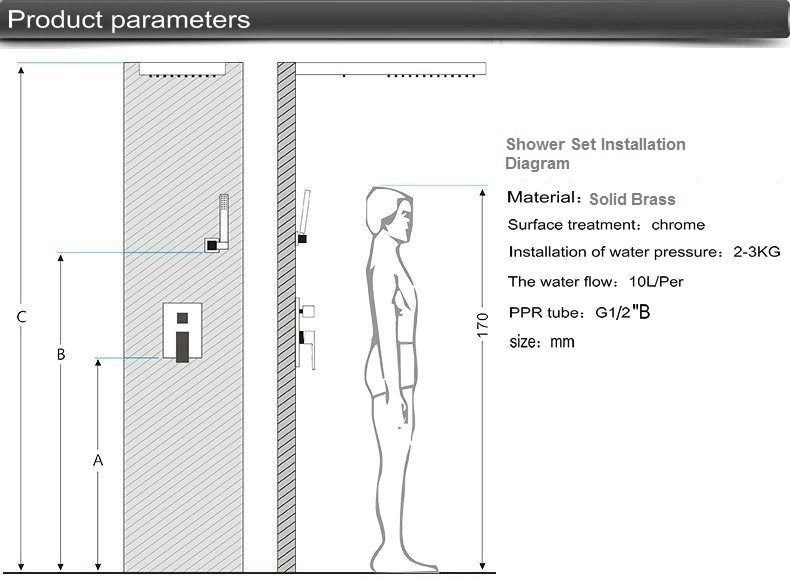 This shower system is a perfect fit four our bathroom. The material is of excellent quality...better than our expectation. We were worried about the installation of this shower system since our plumber may charge us more but much to our surprise the plumber said it was relatively simple and easy to install. Customer service at bathselect were always helpful in answering our questions. Thanks a bunch guys.